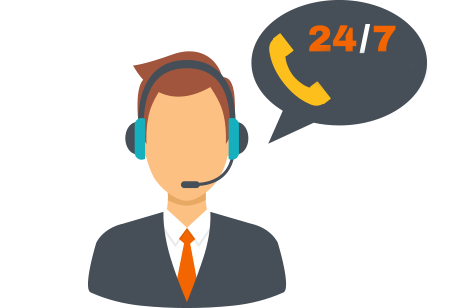 Service desk - WASKO S.A.
Service Desk is the most cost efficient and the fastest contact form between a client and WASKO company, which works in 24x7x365 mode. It provides one point of contact with the service making use of various communication methods i.e. e-mail, fax, phone and www. It ensures standardisation of customer service and maintenance of its unalterably high quality. We propose cooperation in Service Desk outsourcing. The organisation of WASKO ServiceDesk offers the possibility of handling many entities at once. We provide you with dedicated channels of communication between your clients and the service centre (hotline, email alias, fax, communicator) and we provide care on agreed level. Within ServiceDesk we also recommend the service of providing specialists of the 1st line of service support. it produces statistics and reports connected with handling of notifications and work of consultants.